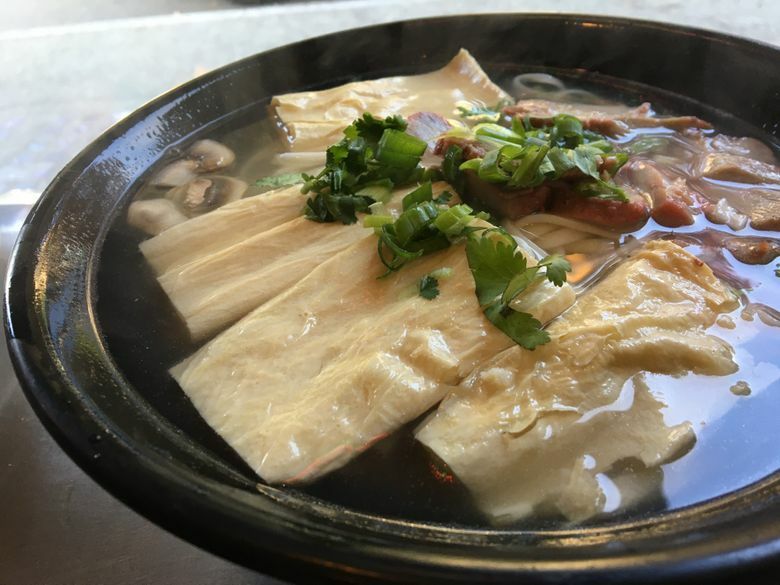 Comforting soup and congee is king at King Noodle in Seattle’s Chinatown International District. Just choose your toppings wisely. For as long as I can remember, my ultimate comfort food has been noodle soup — specifically, instant ramen with tomatoes and a well-done poached egg. But any noodle soup will do, really. Those cozy bowls of goodness are like a warm hug for your belly, and they’ve gotten me through quite a few sick days over the years. Needless to say, noodle soups are the first things I crave when cold weather (or an actual cold) rolls in. Enter King Noodle in the Chinatown International District, whose hallmark is its build-your-own noodle soup and congee. Sounds like a cold-weather paradise, no? During a visit on a recent Sunday, it was apparent other people had the same thought. At 1:40 p.m., the restaurant, a small space on King Street, was still full with customers. Luckily, a table cleared within five minutes, and service was quick after that. We ordered a noodle soup, congee and small plate of pan-fried dumplings, and we got our food, steaming hot, in the next 10 minutes. The menu: The double-sided paper menu is your order card, on which you mark your selections and return to the restaurant staff. The stars are the noodle soup and congee options. You choose the soup base, noodle type and two toppings out of the 32 listed. For congee, you choose two from a smaller list of toppings. Additional toppings cost an extra $2 each. Choose your toppings wisely. Such customizable dishes proved to be less exciting than they sounded on paper. The overall flavor of the noodle soup was satisfying — a good old-fashioned chicken broth, not too salty, and just the right temperature. But the barbecue pork, tofu skin and mushroom toppings I selected didn’t totally mesh with each other and were, on their own, bland. 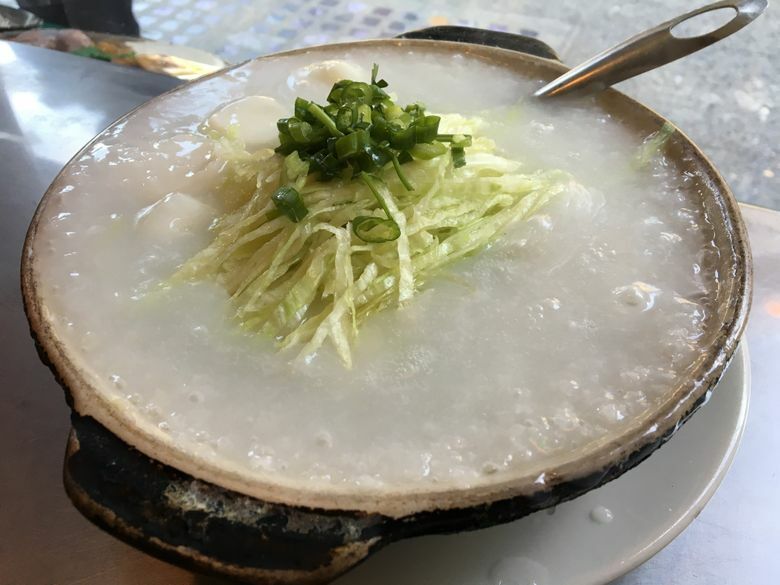 The lettuce strips atop our congee also added a strangely cold, crisp texture to an otherwise delightful (and ginormous) dish. On the back of the menu, you’ll find a list of appetizers, more soups and noodles (but separated), rice stone pots and drinks. 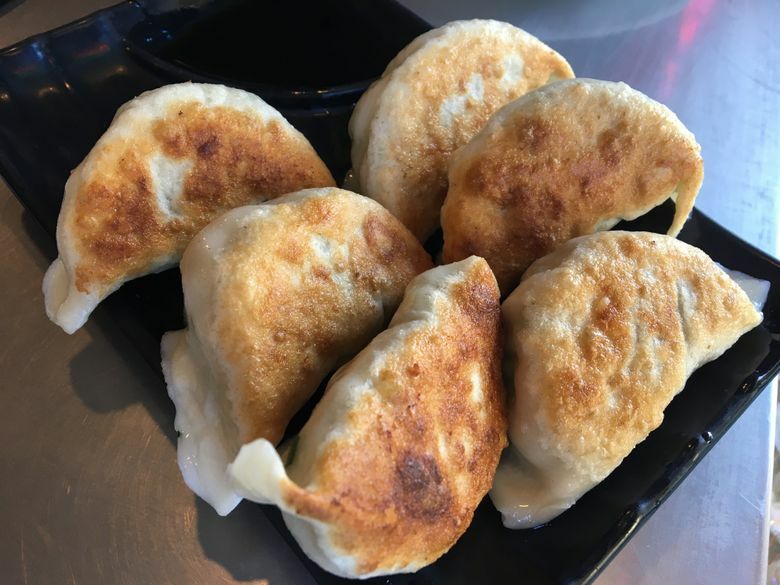 Don’t miss: The very plump, pan-fried chive-and-pork dumplings were the highlight of the meal. While the filling could have had a tad more salt, the dumplings overall tasted like the ones I’ve made with my family at home. Plus, you can add a little flavor with the vinegar provided on the side. Prices: Noodle soup with chicken broth, QQ noodles, mushroom, tofu skin and barbecue pork ($8.99); congee with shrimp, fish balls and lettuce ($9.49) and six pan-fried chives-and-pork dumplings ($5.99) amounted to $24.47.